There is a new Judgement issued by the Appeal Court of Las Palmas de Gran Canaria regarding the P*** and P *** Resorts, operated under a “multi-ownership” system preceding the 1998 Spanish Act, i.e. the former Spanish system whereby the purchasers acquired full ownership of a 1/52 share in the apartment. The Court of Las Palmas thereby concludes that the legal doctrine contained in the Supreme Court Judgement which states that pre-existing systems may not last longer than 50 years after the Spanish Act 42/1998 and that they should meet all the requirements of the new Spanish legal system called “rotational enjoyment” is not applicable to a system which does not involve “right in rem or rental rotational enjoyment” but co-ownership of apartaments (multiownerhip). This is certainly a surprising Judgement after the Supreme Court Judgements of January and June which we all know about. I agree with what this Judgement says, although, for the same reasons, I would extend it to pre-existing systems which have not been created under Spanish Law, such as the Club-Trustee system. This article is intended to make particular a study of the impact which the aforementioned Judgements have had or may have on the Timeshare Industry insofar as they proclaim the nullity of contracts which, being based on legal systems in place before (pre-existing) the Spanish Rotational Enjoyment Act 42/1998, failed to be transformed after the coming into force of said Act <abandoning their preceding legal system> to become the rights in rem or leasehold rights created ex novo by the new Act.- This could, without a doubt, have an impact on “almost all” the systems where other methods of adaptation –which all those involved in the legal profession deemed (until the recent Judgements were rendered) to exist and to be possible – were chosen. The Article comes to the conclusion, for the legal reasons described in it, that timeshare contracts based on legal systems or schemes subject to non-Spanish law but relating to properties located in Spain (i.e. the Club-Trustee System) are clearly lawful given the prevalence, as a higher-ranking rule, of the 1980 Rome Convention on the choice of applicable law as regards personal obligations over the Rotational Enjoyment Act 42/1998, a lower-ranking rule. Various Appendices will soon be added to this Article to try to show once again that the timeshare industry, and timeshare itself, is not a fraudulent system, but an economic operation or activity which responds to consumer demand, a lawful supply by entrepreneurs-developers and the interests of the national economy where the tourism sector, now more than ever, is the driving force of the Spanish growth. Therefore, these Appendices will be aimed at studying the detrimental consequences of confusing the various names given to this kind of contract, the raison d’etre of the Club-Trustee System or the economic impact of timeshare in Europe and, specifically, in Spain. Before addressing the merits of the legal validity in Spain of the legal system known as Club-Trustee, we need to make some clarifications concerning the very name of this kind of “rights, products and services relating to the periodic occupation of holiday accommodation” in relation to the name of these legal systems and types of contracts, which we will generally refer to, indistinctly, either as Timeshare or as Rotational Enjoyment, without prejudice to the specific name of each right in relation to the specific system involved in each case. BEFORE THE COMING INTO FORCE OF THE ROTATIONAL ENJOYMENT ACT 42/1998 (REA 42/1998). The “Rotational Enjoyment Of Real Property For Tourist Use And Taxation Rules Act 42/1998 of 15 December” (hereinafter “REA 42/1998” for ease of reference), incorporated Directive 2004/47/EC into Spanish Law and was the first legal rule in Spain which established a set of regulations on timeshare, which in said Act started to be called “rotational enjoyment”. However, the fact that before the appearance of this Act there was not any specific rule regulating these contracts does not mean that this activity was clandestine or outside the Law. There are two governing principles in Spain -“free will” and “freedom to contract”- which, as an expression of persons’ freedom, allows individuals to create, modify and terminate legal relationships; within the scope of a legal transaction, and also by virtue of the “freedom to contract” principle, persons are at liberty to undertake any obligations they may freely agree on. This, however, is not an absolute right but one with limitations laid down by Law, and such limitations are becoming increasingly restrictive in situations affecting third parties who are regarded as more defenceless, such as consumers or users. And where a contract which is formally envisaged by Law is entered into, the parties are free to determine its covenants provided that the end is lawful and that the mandatory precepts for such a contract are observed; otherwise, there is absolute freedom. For this reason, when contracts from the Anglo-Saxon tradition are imported into Spain, any person –Spanish or otherwise – may freely enter into such contracts and, in addition, they may do so with the application of concepts existing in Spain (such as community of property, simple contracts involving personal obligations or other associative systems, etc) but without any obstacle to do so according to a non-Spanish law –as per the freedom to contract principle– provided that no mandatory law of Spain is thereby contravened. “Possession, ownership and other rights over real property, as well as the publication thereof, shall be governed by the law of the place in which they are located”. We would certainly need to analyse this precept, particularly as regards “other rights over real property”. That is, we need to study the scope of this precept both in relation to the hierarchy of the rule in which it is contained (Civil Code) –in order to ascertain whether it is applicable given that it does not come into conflict with any higher-ranking rule of the Spanish legal system– and in terms of the actual material scope inferred from the same rule. It is therefore necessary to determine whether the phrase “other rights over real property” encompasses all the rights of occupation which directly (as a right in rem) or indirectly (as a personal right) relate to a =real property/holiday accommodation= which, consequently, would have to be constituted and governed by Spanish Law on an exclusive and excluding basis if the property is located in Spanish territory. In other words, to determine whether only Spanish Law can substantively regulate these rights, whether they are rights in rem or merely personal or binding rights. We have certainly taken a leap forwards in time by citing the new REA enacted in 2012 when we were discussing the situation created during the validity of the now repealed REA 1998; such a leap would not make any sense were it not to prove that the rule whereby any right over real property is to be governed, on an exclusive and excluding basis, by the law of the place where the real property is located (lex rei sitae), does not apply where such a right is one of a personal or merely binding nature subject to non-Spanish law. If it is now acknowledged that the Rome I Regulation (2008) is a higher-ranking rule than the REA 4/2012 and allows the subjection to non-Spanish law of personal (not in-rem) timeshare or rotational enjoyment rights relating to real property located in Spain, the same argument must be adopted in regard to the situation created by the preceding REA 42/1998, which is aware and even acknowledges –albeit chooses to ignore– that a higher-ranking rule was in force at the time which, on similar terms, allowed the subjection of personal rights of rotational enjoyment or timeshare rights to non-Spanish law; such a rule was none other than the Rome Convention Concerning The Law Applicable To Contractual Obligations of 19th June 1980, amended in Funchal on 18th May 1992, which was published in the Spanish Gazette on 19th June 1993 and came into force on 1st September 1993 (therefore before the REA 42/1998). It should also be noted that, even though the 1980 Rome Convention is a multilateral treaty, it now constitutes a “rule of the European Union”, which may open the door to the possibility that the issues concerning its application can be resolved before the Court of Justice of the European Union after all the Spanish judicial instances have been exhausted. In this regard, Sánchez Lorenzo states that: “The Rome Convention was born as a corrective or balancing element of the European Legal Space, directly associated through the Brussels Convention to Article 220 of the European Constitutional Treaty itself”. The Convention on the law applicable to contractual obligations became open for signature in Rome on 19th June 1980 for the then nine Members of the European Community (EC). Later, all new members of the EC signed this Convention…. In addition, all new Member States of the Community were on signing the Rome Convention demanded to adhere to the Protocol concerning the interpretation of the Convention by the Court of Justice. Without needing to state the validity and application of the 1980 Rome Convention since it came into force for Spain in 1993, the truth is that, even before, taking only into account the domestic, “exclusively Spanish” rules prior to the REA 42/1998, the possibility of constituting rights of a personal or binding nature over real property located in Spain under a non-Spanish substantive law was never called into question, whether they related to apartments or residential homes or to properties/accommodation part of holiday establishments; this resulted in the predominant, if not exclusive, constitution of systems which were subject to the law of an Anglo-Saxon country, fundamentally the aforementioned Club-Trustee system. In any case, however, it is my view that, after the Rome Regulation became applicable in Spain in 1993, the opposite may no longer be argued despite the strong current of thought doubtlessly promoted by traditional hotel businesses and legal agents who intended to adapt the phenomenon of the timeshare economic-touristic activity to one only formula involving the constitution and application of this kind of contracts to a new “right in rem” named “rotational enjoyment”, which had to be reflected in a public Deed and registered at the Land Registry so that notaries would control the constitution of the system (first compliance check) and they would have access to the Land Registry (second compliance check). In addition to that, there would be a notarial control of the commercialisation and transfer of the RERs (rotational enjoyment rights) by public Deed to which the purchasers would voluntarily have access after the verification of the existence of the system and its rules, the RER itself and the situation concerning ownership and liens as recorded at the Land Registry. However, the Spanish legislator, no doubt with the best intention but certainly taking an unrealistic stance, failing to take into account the very nature of the timeshare product and moving away from the identification made in Directive 94/47/EC of the problems being encountered before 1994 in this economic-touristic sector –which did not so much relate to the legal form or nature of these contracts but to the commercialisation thereof, i.e. the promotion and subsequent sale of the product–, chose not to regulate a “market” but to cause it to fall within other Spanish legal institutions of recognised effectiveness in other areas and to cause it to be controlled through public deeds and the Land Registry by the equally prestigious and competent body of Public Notaries and Registrars. The problem, however, was that the activity of Notaries and Registrars, old but constantly adapted to real property transactions and to the frequent variations taking place from time to time, was never created or modified to regulate, for the benefit of the consumers, the mercantile transactions brought about by this type of commercialisation of rights concerning overnight stay in holiday accommodation. And this has caught on among Spaniards and foreigners alike in the form of the misconception that the only form of acquisition (purchase) of real property in Spain is by executing a mandatory public deed which must then be registered at the Land Registry, when the truth is that such a transfer of property is equally valid (albeit it does not have the same degree of protection as against third parties) if done through a private contract where this is accompanied by possession (title and handover). But such a mistaken belief stems from the fact that that is the most effective means to protect the purchaser’s right at the time of purchasing a real property and to retain ownership thereof undisputedly. This is why, whenever a real property is now purchased in Spain, the transaction is reflected in a public Deed and registered with the Land Registry in an overwhelming majority of cases. But the same thing does not happen with rotational rights of occupation for the very simple reason that these rights are not a real property product –even though it has been intended to formulate them as a right in rem– but a merely touristic product or right. This is why, after the coming into force of the REA 42/1998, the public Deed and registration have been overwhelmingly absent in the commercialisation and transfer of in-rem or leasehold rights of rotational enjoyment. In default of statistical data, I believe that it would not be unreasonable to say that the incorporation or RERs into a public Deed and the subsequent registration thereof does not reach one percent of all cases. That is, this control and protection method is good and effective for the purposes of real property development, but not for the promotion and marketing of holiday accommodation stays. SYSTEMS WHICH PRE-EXISTED ACT 42/1998 OF 15 DECEMBER UNTIL THE COMING INTO FORCE OF REGULATION (EC) 593/2008 CONCERNING THE LAW APPLICABLE TO CONTRACTS ENTERED INTO AS FROM 17 DECEMBER 2009 (ROME I). Before the aforementioned Judgements of the Supreme Court were rendered, the validity of the personal timeshare systems which pre-existed the REA 42/1998 was almost unanimously never questioned provided that they simply complied with a consumer protection rule of adjective law, i.e. that they be given public status by registration thereof at the Land Registry (without the obligation, therefore, to transform them into the new in-rem or leasehold right of rotational enjoyment); also, where the lifetime of the pre-existing system was in excess of the 50-year term laid down ex novo by the new Act for all new schemes, the pre-existing duration could be preserved provided that such longer validity was expressly mentioned in the Deed of adaptation-publication. When an Act or its pre-legislators and legislators deliberately ignore the problem which may be posed by the existence of other rules, including higher-ranking rules, they can create an even bigger problem and, eventually -15 years later–, a seriously detrimental situation for the citizens, whether they are entrepreneurs, consumers, users or employees, as is to be expected after the Supreme Court Judgements. The National Association of Timeshare Businesses (currently the Spanish Chapter of RDO), acting responsibly, raised these issues at various forums and directly to the General Secretariat for Tourism, the bodies of the Ministry of Justice with jurisdiction on the matter, Regional Parliaments and Members of Parliament and the Senate who generally, without denying the existence, validity and scope of the 1980 Rome Convention (which had already been pointed out by the State Council in its Report on the Bill preceding the Act), chose a set of confusing regulations for the sake of increasing the level of protection to consumers through an exclusive system of rights in rem, the consequences of which had become evident even before the Judgements of the Supreme Court which, in our view, go far beyond what was justified by the Rationale and provided for by the Articles of the REA 42/1998 itself. By virtue of a surprising interpretation which, as far as we know, had never been adopted in any Treaty or by the vast majority of the Provincial Courts in establishing their Case Law over the last fifteen years, these Supreme Court Judgements basically indicate that the adaptation of any scheme pre-existing the REA 42/1998 was not valid if performed by simply publishing all or part thereof as they should have involved the “transformation or conversion” of both the pre-existing limited or full ownership rights in rem (i.e. community of property on a multi-ownership basis) and the also pre-existing personal rights (whether subject to Spanish Law or otherwise, such as the Club-Trustee system) under penalty of absolute nullity of the contracts marketed after that deadline. “However, the interpretation of said paragraph 3 of the second transitional provision adopted by the appellant on which it rests its case, does not respect the sense arising out of the systematic connection thereof to paragraph 2 of the transitional rule itself, whose content the former respects in any case – “[without prejudice to the provisions of the last preceding paragraph…]” – and which sets forth that any titleholder –consequently also the current appellant – wishing to “commercialise the occupation periods not yet transferred, after the Deed of Adaptation, as rotational enjoyment rights”, was to constitute the scheme “with regard to the available periods and in compliance with the requirements established in this Act”, among them the temporal requirement laid down by Article 3, paragraph 1. As mentioned, while we respect the doctrine contained in these Judgements, we understand that it is radically contrary –and therefore not shared by them from the start– to the position of virtually all the treaty writers who addressed the issue before and on complying with the Act within the timeframe thereby established for “adaptation” of the pre-existing schemes, the numerous notaries who authorised the adaptation thereof by publication and the registrars who entered the deeds on the Register, who almost unanimously (!) understood that something entirely different is clearly inferred from the Transitional Provisions in relation to the Rationale of the REA 42/1998. We further understand that this Supreme Court doctrine comes into conflict with, and fails to take into account, the prevailing application of the higher-ranking rule which is the 1980 Rome Convention over the lower-ranking REA 42/1998 (possibly because debate in a trial is confined to or limited by the respective petitions of the plaintiff and the defendant by virtue of the principle of consistency of rulings –ne ultra petita– and this was never a subject of debate in the cases which gave rise to the Supreme Court Judgements). 5) The projected legislation is a deterrent to cross-border transactions. The fundamental goal of the European Union is the creation of a single market of products, services, capitals and factors of production. However, the Project, far from being instrumental in achieving this goal, imposes a brake on an activity in which most of the purchasers and most of the promoters are not resident in Spain. – Because it attempts to prevent the constitution of timeshare schemes under foreign Legislation (1st Additional Provision). – Because it demands that service companies have to be domiciled in Spain (Article 16.1), which seems to prevent the existence of multinational companies (unless they set up affiliated companies of Spanish nationality). – Idem as regards the owner or promoter insomuch as, if it is a company, the obligation is thereby imposed (as documentary evidence is demanded) to be registered with Companies Registry, which seems to exclude promotion by an EU company which does not have a branch, agency or office (only foreign companies with access to Companies Registry): Article 9.9. – Idem as regards exchange companies, albeit in this case it is thereby demanded that they have an open, registered branch in Spain (Article 5.2). This attempt to exclude foreign entities is all the more serious given that major multinational companies in the tourism and leisure sector (Disney, Marriott’s, …) are now entering the timeshare sector. It seems clear that, if the Spanish legislation is restrictive and deterring, we can expect the diversion of these investments to other countries whose legislation is more flexible (France, Italy, …). “6) The Bill may come into conflict with various international Treaties signed by Spain”. “The validity in Spain of International Treaties is set forth in Article 96.1 of the Spanish Constitution, which states that they are part of our internal regulations (Constitutional Court Judgements 76/82 of 14th December, 30/86 of 20th February and 37/88 of 3rd March, and many others) and that their provisions may only be repealed, modified or suspended in the form established by the Treaties themselves or in accordance with the general rules of International Law”. “The Project lacks rules concerning conflict of laws and jurisdictions: it only has one rule, the 2nd Additional Provision, which sets forth that «all contracts, whatever the place and date of execution, which relate to real property located in Spain, are subject to this Act. The covenant of express submission to the law of another State shall be deemed to be made in circumvention of the Law». In my judgement, such a precept may be in contravention of various International Treaties entered into by Spain in relation to conflict of laws and jurisdictions. The most striking thing is that in paragraph VII of the Rationale it is stated that the said 2nd Additional Provision is supported by the Brussels, Lugano and Rome Conventions. Spain has ratified the Rome Convention On The Law Applicable To Contractual Obligations of 19th June 1980, amended in Funchal on 18th May 1992, which was published in the Spanish Gazette on 19th July 1993 and came into force on 1st September 1993. — Article 3: It provides that contracts shall be governed by the law expressly or tacitly chosen by the parties and that a change of applicable laws shall be admitted after the execution of the contract except insofar as this may affect third parties’ rights (paragraph 1). An exception is thereby provided (Article 3.2) where the law of the relevant country does not allow this (Safeguard Clause), provided that all the elements of the relationship are located in said country (place of execution, place of compliance, residence of the parties to the contract…). -Article 4.3: It states that, where the subject of the contract is a right in rem or a right to use a real property, it shall be presumed that the contract has closer ties to the country where the property is located. But this precept is only applicable in default of any choice of applicable law. -Article 5: Where contracts are entered into by consumers, the consumer may not be deprived of the mandatory rules of the country where they habitually reside. During the processing of the EU Directive, the Spanish Delegation –who were not unaware of the problems which the application of the Rome Convention could pose– proposed the following wording for Article 9.1 of the Directive Project: «Where the real property to which the rotational enjoyment contract relates is located in a Member State, the contract shall be subject to the legislation of the relevant Member State». The Legal Services of the European Community (Document 7719/93 of July 1st) issued a Report in which they cast doubt over the compatibility of the Spanish proposal with the Rome Convention, as a result of which the Spanish proposal was not accepted. — The contract itself: submission to foreign law is possible on the terms of the Rome Convention. — Right in rem: As the right involved relates to real property, exclusive sovereignty of the State can exist in this case. It is mentioned in the Rationale that the 2nd Additional Provision prevents submission to the jurisdiction agreed on by the parties, which seems to point to the exclusive and excluding competence of the Spanish jurisdiction. This instruction is said to be supported by the Brussels and Lugano Conventions, which the Act claims to respect. But if we consider the wording of the said 2nd Additional Provision, it turns out that it does not contemplate the possibility of a conflict of jurisdictions. Therefore, the aforementioned Conventions must be regarded as fully applicable notwithstanding the spirit of the Project: this will entail the more than certain possibility that the foreign jurisdictional Body may stress the full validity of the foreign legislations to which the parties have agreed to submit themselves (by application of the Rome Convention), a conclusion which is radically contrary to the aforementioned 2nd Additional Provision. Is the Club-Trustee system valid in Spain after the coming into force of the REA 42/1998 of 15 December? “XII.- ADMISSIBILITY OF THE CLUB-TRUSTEE SYSTEM AFTER THE APPROVAL OF THE ACT. Experience tells us that, of the numerous systems under which timeshare (hereinafter TS) is currently operated, the most widespread system in our country is the one called Associative System and, within it, the Club-Trustee System. Can this system continue to be operated in our country? * External Scope: Can the Club or any other foreign form of association which, according to the rules of the country in which it was constituted, has full legal capacity, hold title to a real property? The answer can only be AFFIRMATIVE, as it is so acknowledged by the Spanish Constitution (Art. 13.1), the Civil Code (Art. 27), the Code of Commerce (Art. 15) and various International Treaties entered into by Spain (particularly the European Union Treaties which establish the free movement of persons, whether physical or legal, and of capitals). * Internal Scope: Can the relationship, of a PERSONAL nature, between the Club and the users of the properties on a timeshare basis be governed by the foreign law to which the parties freely agree to submit themselves? This is the key point. a) The Rationale of the Act, in which it is stated that: “The key question in terms of legislative policy was to determine whether several institutional formulas should be regulated or such regulation should be limited to one formula, all the others being left out. A middle path was chosen which consisted of the detailed regulation of a rotational enjoyment right while at the same time allowing the configuration of the right as a variation of the seasonal leasehold…”. – The contract by virtue of which any in-rem or personal right relating to the use of one or more real properties during a pre-determined or determinable period each year is constituted or transferred outside the scope of this Act shall be regarded as executed in circumvention of the Law and shall not prevent the application thereof…(Art. 1.7). – All contracts relating to rights of use of one or more real properties located in Spain during a pre-determined or determinable period each year, whenever and wherever executed, are subject to the provisions of this Act (2nd Additional Provision). As mentioned in the last preceding section, the 2nd Additional Provision may in certain cases clash with the Rome Convention, at least where the contract has been entered into by non-residents or executed outside Spain, provided that a right of a BINDING nature is thereby attributed to the parties and that the parties EXPRESSLY CHOOSE the law which is to be applicable. -We are discussing the choice of the rule applicable to a contract relating to the use of a real property on a TS basis, not the submission to the competent jurisdiction as, this being a consumer relationship, both the European Community’s regulations and the domestic regulations impose restrictions on the consumer’s waiver of their own jurisdiction. -At least one of the elements must be external as, otherwise, if all the elements are located in one only country, the safeguard clause can operate where mandatory provisions are involved. Such a foreignness requirement is met insofar as the Club is of foreign nationality (as the Spanish legislation does not confer a legal personality on Clubs outside the scope of the Associations Act or of sport rules). -The guiding principle of the Rome Convention is the free choice of applicable law, and such a choice of applicable law does not need to refer to the law of one of the countries which have signed the Treaty, as its purpose is to establish uniform rules of conflict. It is thus provided for by Article 2 of the Convention, which sets forth that the designated law shall apply “even if it is the law of a non-contracting State”. Therefore, the choice of law is admissible whether or not the chosen law is that of a Member of the European Community and whether or not it is a signatory to the Rome Treaty (see: list of countries which have entered into the Treaty). – The European Union intends to create a Single Market of products, services, capitals and factors of production. – The transnational element is particularly important in the Timeshare Sector: this justified the drafting of a European Community Directive. – The existence of important MULTINATIONAL COMPANIES in the business sector aiming to operate the various resorts located in different countries under the same system of operation and always on the basis of a scheme of PERSONAL RIGHTS. For all these reasons, it would have been advisable (and it was thus proposed by some amendment brought to Parliament which was not finally adopted) for the text of the Act to contain some precept establishing that its content should be understood to have the exceptions provided for by the International Treaties entered into by Spain. A precept, however, which would have been unnecessary in any case (because, as mentioned, Treaties prevail over domestic rules), all the more so because it is thus acknowledged in the Rationale of the Act. Respecting the doctrine of the Supreme Court contained in the aforementioned Judgements –albeit disagreeing with its interpretation of the transitional rules of the REA 42/1998– we could say that contracts commercialised after the REA 42/1998 based on pre-existing schemes of a personal nature and subject to non-Spanish law, despite not having been adapted to become in-rem or leasehold rights of rotational enjoyment, continue to be fully valid. • Almost all contracts commercialised on the basis of the so-called system of community of property on a multi-ownership basis. • Contracts commercialised on the basis of other types of in-rem rights, but also of personal rights based on Spanish Law. At this point, we should address the reason why this article has focused on showing the, in our view, obvious lawfulness of the Club-Trustee system, as well as of other systems of personal or merely binding rights subject to non-Spanish law, as according to the 1980 Rome Treaty they are perfectly valid in Spain if they are valid according to the law of the country to which they were submitted. o That there is one only form of adaptation, the purpose of which is the conversion of the pre-existing scheme (whatever its legal nature and governing law) into a system of rights of rotational enjoyment constituted in accordance with Article 1 of the REA 42/1998. o That the adaptation of the pre-existing system for publicising purposes does not preclude the nullity of the contracts after the enactment of the REA 42/1998. o That the lower-ranking rule –REA 42/1998 – which demands the adaptation-transformation may not be applicable to systems of personal rights based on the higher-ranking rule which is the Rome I Regulation. o It may be further considered that, if the docrine to be applied is that contained in the Supreme Court Judgements concerning the mandatory adaptation-transformation, then we will find that any contracts commercialised after the coming into force of the REA which are based on “Spanish” systems of “community of property on a multi-ownership basis”, other kinds of rights in rem (i.e. “multi-usufruct”), “multi-leases”, associative systems in general or those involving merely personal obligations, which were adapted by publication and without such a transformation, all of them, are fully null and void. These Judgements of the Supreme Court declare the radical nullity of such contracts of personal rights subject to non-Spanish law without applying the provisions of the 1980 Rome Treaty as a higher-ranking rule, and they do so, in my view, because the reply to the claims filed with the Court did not raise any opposition to the application of the Safeguard Clause of the 2nd Additional Provision to the REA 42/1998 on the grounds that it contravenes the 1980 Rome Convention. It is fair to say that, in my opinion, the mandatory application of the higher-ranking rule to the detriment of the lower-ranking rule was not raised or requested, without a doubt, because Case Law of lower courts and provincial courts –including that of the Supreme Court which handed down the Judgement which resulted in an Appeal for Reversal– subsequently changed its own jurisprudential criteria, going back to the former interpretation which is now contrary to that of the Supreme Court. Consequently, it may be possible in future court claims to oppose the likely action for nullity requested by the claimants based on the above-mentioned Case Law of the Supreme Court by arguing that the obligation to “adapt/transform” the pre-existing right into the rotational enjoyment right typified by the REA Act 42/1998 may not (could not) be demanded in the case of contracts relating to schemes subject to non-Spanish law by virtue of the mandatory application of the 1980 Rome Convention. 1.- It is our view that rotational enjoyment or timeshare schemes of personal rights subject to Spanish law –or any rights other than the in-rem and seasonal leasehold right of rotational enjoyment – may not be constituted since the coming into force of the REA 42/1998. 2.- However, it has been possible validly to constitute schemes of personal rights subject to non-Spanish law under the provisions of the 1980 Rome Convention and of the Rome I Regulation after the latter came into force to replace the former. AFTER THE COMING INTO FORCE AND APPLICATION OF THE ROME I REGULATION AND UNTIL NOW. 1.- RIGHTS SUBJECT TO SPANISH LAW. During the validity of the REA 42/1998, of Royal Decree-Law 8/2012 of 16th March and since the enactment of the current Act 4/2012 of 6th July, the only valid systems subject to Spanish Law are those constituted by the transformation or creation ex novo of the in-rem or seasonal leasehold right of rotational enjoyment of property for tourist use. 2.- PERSONAL RIGHT SYSTEMS SUBJECT TO NON-SPANISH LAW: Those previously constituted, before and after the REA 42/1998, during the validity of Royal Decree-Law 8/2012 of 16th March and since the enactment of the REA 4/2012, as well as new schemes now created –albeit the latter no longer based on the 1980 Rome Convention but on the Rome I Regulation– continue to be valid. This is an opinion article written without prejudice to a more knowledgeable or better informed opinion. These Appendices to the Article published in this Blog regarding the “Legal Validity of the Club/Trustee System in Spain” are not intended to provide additional legal arguments but, rather, to explain the reasons it was introduced in Spain, despite the confusion which has been created in this Sector (of the Tourism Industry) as regards the general denomination of this kind of contracts, and the importance to the Spanish economy of Timeshare, particularly where it relates to the main market of timeshare tourists in relation to our country as main destination of the latter. The summary figures we have taken from the Study on the Economic Impact of Timeshare (see below -Paragrph III) illustrate its importance, not only for the European Economy, but particularly for Spain, which is currently the country receiving the third most timeshare tourists (after the USA, which is also the country with the most consumers of this kind –although it is certainly an internal market– and Mexico, which currently ranks second). But they have also shown us a very important and conclusive fact to understand the different structures or systems used to operate timeshare businesses in Spain since its inception in the 1970s, i.e. that the majority of promoters were British and, more importantly, that most timeshare consumers and users in Spain come from the United Kingdom. Spain is still today the main destination for timeshare tourists and Spanish promoters represent a substantial part together with British promoters, but also most of the tourists who access Spanish resorts through timeshare continue to be British, with a strong entry of Irish, Scandinavian, Finish, etc who, while not purely Anglo-Saxon, are familiar with many of the Anglo-Saxon legal institutions due to their commercial leadership?. Consequently, if the operators in Spain were mostly British at the beginning and so were the majority of these new consumers, it made sense to import into Spain (with the relevant process of adaptation) the legal systems or structures which in their country had proved most efficient and flexible for commercialisation purposes; an efficiency and flexibility which the British, pragmatic as they are, knew would be inextricably linked to consumer protection as a means to earning their trust. And the legal system or structure which aimed to provide consumers and users (the owners or holders of those timeshare rights) with such protection was no other than the Club/Trustee system, which we will in this section try to summarise, at least in its most widespread formulation. In time, and with the boom of this economic activity, Spanish operators entered the market, and so did consumers from Spain and from other European areas, for whom it was felt that it was necessary to operate under other structures which would be more understandable in the context of their own legal culture, which gave rise to various formulas using Spanish legal concepts, such as civil partnerships, “multi-leases” or the better known “multi-ownership”. And all of them –including the Club/Trustee system– were obviously subject to the principles of our legal system of free will and freedom to contract, as well as that of being subject to foreign substantive laws provided that they would not come into conflict with Spanish public order legislation, and also under international treaties entered into by Spain. After this introduction, it is necessary to summarise the purpose of the globally widespread legal system known as Club/Trustee, which is no other than to offer, fundamentally, “safety” to the purchaser. Such safety is the key to its success, together with its simplicity (once familiar with it), its adaptation to specific needs in each case and its ability to serve as a means to preventing numerous conflicts. The very name of this system contains its two main elements, i.e. the “Club” and the “Trustee”. A Club is not a legally-typified entity in the United Kingdom, but one based on a spontaneous creation in the Anglo-Saxon tradition and is often defined as a unincorporated entity in the sense that it simply constitutes an “associative” covenant which does not have a legal personality of its own and does not need to be registered with Companies Registry or entered on any register of associations or any administration, nor does it require any special formality such as a public deed, etc. It is therefore a contract of association which is governed by its own rules and to which third parties may adhere for a specific purpose. For merely explanatory purposes, we will refer to the version of this system (of which there will be as many as freedom to contract allows so long as they do not go against the law) which is most commonly used in this sector of tourism. The Founder Members (or promoters of the Club in commercial terms), who had the right to admit new members (to whom we could refer as Ordinary Members). The Purpose of the Club: To enable its members to use and enjoy an apartment, house, room, etc, whether pre-determined or determinable, during a pre-determined or determinable annual period until the end of the Club’s lifetime according to its own Rules. The Rules of the Club (or Constitution), which included the rights and obligations of the Founder Members (promoters) and of the Ordinary Members (users), the Governing Bodies of the Club (its Committee), its length (normally in perpetuity, 80 years, etc, although the current tendency is to make it shorter owing to market demands). Admission of Members: As many Members could be admitted as “Rights of Occupation” were available, i.e. as many as occupation periods there are (normally weekly periods, which means 51 or 52) per apartment or accommodation unit “ATTACHED” to the Club. Commercialisation. Form of Admission of new Members, which is normally for valuable consideration following an agreement freely reached by the seller of the Membership or Affiliation (the Founder Member) and the purchaser (the consumer). The Affiliation would be acquired by a “Purchase Contract”, but the right to effective use of the Unit was reflected in the “Club Membership Certificate”. Obligation to pay an Annual Fee for the provision of services to the holder of the right and to the Unit and the Resort in which the Unit is located, as well as the consequences of non-payment. Management Committee of the Club, on which the Founder Members and the “Ordinary” Members were represented and whose members were normally elected by the (normally Annual) General Meeting of Members. But, what happened if a fraudulent promoter sold more rights of occupation than were available or sold the units registered in its own name, for example, without any liens noted on the Register? A response to this important question which, at least at the beginning, was one of the main points of contention, was provided by the operators with the formulation of legal structures which allowed an effective control of the commercialisation of these affiliation rights, the main ones being, on the one hand, the so-called “multi-ownership” system or functional or fixed-purpose community of property, which made use of the controlling role of notaries and registrars and eventually was somehow adapted by the REA 42/1998 in the form of an in-rem leasehold right of rotational enjoyment –the registration of which at the Land Registry was mandatory– and, on the other hand, the “Club/Trustee” system, of proven practical efficiency in the United Kingdom, i.e. in the main origin market for these consumers in all of Europe and specifically those with Spain as their destination, which made it a suitable option insofar as these consumers and users were familiar with it. It was not, therefore, some clever invention, but a system already known by the majority of the consumers to whom it was aimed –a knowledge which would later become widespread– which worked as an actual provider of protection to the consumers. The Trustee is a typically Ango-Saxon concept, widely spread across the whole world and very particularly in the context of trade activities, whereby –in the case at hand– ownership of the property or the rights to be used by the Ordinary Members or timeshare purchasers is vested or owned by a third party (the Trustee) on whom confidence is placed to hold title thereto and to keep them free from liens and encumbrances, so that they can be used at all times by the Members, and to ensure that the Founder Members (promoters), even if they hold a majority –which at the beginning they always do- , will be unable to administer or mortgage or dispose of them in any way that would prevent the rights of occupation from being exercised. The Trust is created by virtue of the Deed of Trust, whereby the Founder Members of the Club (its only members at the beginning) appoint a special company or ‘Trustee’. Under the law governing its legal structure, the Trustee is an independent company which, as every company, has its own personal assets, its own income and expenditure and its own profit or loss, and whose mission is to provide a specific service to third parties (in this case the Club and its Members), such as holding title to the property “attached” to the Club thereby assuming a custodian role. These assets, which in this case mainly consist of real property (apartments or other kind of accommodation for tourist use in Spain), are acquired by a holding company whose owner is the trustee albeit not for its own benefit but for the benefit of the Members of the Club. These assets, therefore, are kept separate from the trustee company’s own assets as, like any other company, it is exposed to the circumstances affecting any business, bankruptcy included, and must therefore meet its liabilities out of its own assets, but never out of the assets held in trust, which are separate and independent and which, if things came to that, would all be transferred to another trustee without the problems of the former trustee to hold them as custodian on behalf of the beneficiaries of the Club (mainly its timeshare members). By virtue of the Deed of Trust, the Club, as a subject capable of having rights and obligations, instructs the special trustee company to purchase, through a company denominated “Owning Company” which is solely owned by the Trustee and whose only business is to hold property for the benefit of the Club Members –hence it is called a non-trading company– the real property to which the timeshare rights inherent in the membership relate. Neither the Founder Member, fundamentally, nor the Ordinary Members may, even by majority decision, obligate the Trustee to administer or dispose of these properties in any way which contravenes the Rules and Regulations of the Club and which, therefore, prevents the members-users from using and enjoying the occupation period to which they are entitled. When the promoter or marketer enters into a contract with the consumer, the contract, as well as any monies paid or to be paid by the consumer, are sent to the Trustee. The Trustee verifies that the marketer has proper authority to do this and to transfer the right insofar as relating to an existing apartment which is “attached” to the Club and on which there are no liens or encumbrances nor has the same right already been sold. Once this has been ascertained, the Trustee issues the Membership Certificate to the purchaser and then sends the money obtained from the sale to the marketer. Otherwise, the money will be reimbursed to the purchaser-consumer. The Trustee will support a proper operation of the Club as an “independent third party” by, among other things, attending the General Meetings of Club Members at which the annual Budget is to be approved in the form pre-established in the Club Rules. This Budget contemplates the income of the Club, which mainly comes from the annual fee payable by the Club Members for the services provided to them, and all the expenses the Club has to meet –including the Resort-, among which is the remuneration payable to the operating or management company-service provider, which is normally set at between 10% to 15% of the total Budget in order to prevent abusive remunerations. The foregoing is certainly a very abridged explanation, but the conclusion of this section is very simply that the Club/Trustee system has been generally accepted until now and has been adopted in many countries, including those which have their own system of rights in rem, such as the Portuguese “Derecho de Habitacion”. The legal definition of aprovechamiento por turno –rotational enjoyment– in Spanish encompasses and includes all in-rem or personal rights whose objective scope is that defined in Directive 1992/47/EC, the Spanish REA 42/1998 or in Directive 2008/122/EU and the Spanish REA 4/2012. The variety of names given to this kind of schemes and reflected in the contracts concluded for their commercialisation has from the start, after the coming into force of the 1994 Directive and the 1998 Spanish Act and until now, led to confusion which, I dare say, has in this case been particularly detrimental to the marketer as regards the use of such names in the legal forum, although certainly also to the consumer. Therefore, my personal opinion is that aprovechamiento por turno, or even tiempo compartido –Spanish translation of ‘timeshare’, the most widely used term throughout the world–, must or can be used as a general, equivalent denomination which encompasses all these contracts. In addition, the specific denomination corresponding to the legal right to which these contracts relate or could relate must be clarified both in any informative and promotional documentation intended for the commercialisation of this kind of rights and in the specific contracts of transfer thereof. Right in Rem of Rotational Enjoyment of Real Property. Personal Right of Seasonal Leasehold or Rotational Enjoyment Leasehold of Real Property. Personal Right of Membership or Affiliation to a timeshare Club or Club-Trustee. In the case of the pre-existing “multi-ownership” right, such a word may not be used for commercialisation purposes, which has not precluded its commercialisation provided that it was first adapted to the REA 42/1998 by publication but without any transformation of its legal nature (although this is what the Supreme Court has now denied in the aforementioned Judgements) and that the sale contract and the mandatory informative document included an explanation of its legal nature, which is doubtlessly that of a “functional or fixed-purpose community of property or of property owners”, as an undivided share of ownership is thereby acquired. It relates to a “service” for the occupation of holiday accommodation. The accommodation may not be a residential home but an accommodation unit (room, apartment, home, country house, caravan on a camping site, etc) which is part of a holiday accommodation establishment (hotel, apartment-hotel, holiday apartments, hostels, country homes or even private homes for tourist use, etc). Such establishments must contain the architectonic specifications, furniture, facilities, installations, means of access, etc which are determined by the legal rules on tourism and, consequently, both the operating company and the establishment itself have to be registered with the “Tourism Registry” of the Autonomous Community –Region of Spain– in which they are located. Specific services. The services inherent in this kind of establishments according to their type, category, location and other parameters need to be provided: reception, restaurants, number of beds, water, electricity, telephone, cleaning and linen, restaurants, etc. Temporary nature. Use of the units is essentially temporary. Direct contracting at the establishment. Advanced contracting, whether individual or for groups. Reservations through own or third-party channels. Contracting as a “rotational enjoyment right”. Indirect contracting by “exchange of rotational enjoyment rights”. It is a tourism-related product, not a real property product. Therefore, it is not a real estate product but a purely touristic economic activity and, just as a hotel stay or a “Bancotel” voucher or multiple reservations or similar rights of occupation are not a real estate product, neither is this specific form of commercialising bed nights in holiday accommodation units. Rotational enjoyment is thus regarded by the rules governing tourism: It does not relate to a type of touristic accommodation unit but merely to a way of commercialising this kind of units (i.e. rules of Andalucía and the Canaries). It is a matter, therefore, of banishing the idea that this is a real property-related right, a tendency which started with the REA 42/1998 by prohibiting the use of the word ownership or multi-ownership for marketing purposes, a prohibition which, I understand, only relates to “ownership of a real property”. Contracting for this kind of right to stay overnight in tourist accommodation units may fundamentally take the form of contracts involving personal obligations subject to non-Spanish law, without prejudice to the alternative of doing it, if so allowed by the lex rei sitae, as a contract involving an in-rem or leasehold right. The REA 42/1998 was from its coming into force intended to exclude (without prejudice to the personal rights which existed previously) the commercialisation of any personal right on a timeshare basis. And it failed to achieve this, to a considerable extent, due to the strength of the facts: The Land Registry is not the right Body to control this kind of tourist contract, nor are Notaries and Registrars, who were made to act as the “police of the system” but were never provided with appropriate instruments or tools to perform such a role which, on the other hand, was not their own. The business sector of timeshare carries out an economic activity like any other, according to specific regulations and generally abiding by the applicable legal rules. However, as with every human activity, there are and there will be pathological behaviours, but this does not justify a general demonisation of the sector, as can also be said of politicians, airlines, taxi drivers, judges, public servants, trade unionists or any human activity, although such pathologies must certainly be cracked down on using the right means. The aforementioned Judgements rendered by the 1st Chamber of the Supreme Court, to which all the operators in the Sector have expressed a general –or, rather, virtually unanimous– disagreement and which, if they become consolidated Case Law, can be hugely detrimental to entrepreneurs, workers, suppliers, users and even private individuals who transferred their rotational enjoyment right (in summary, to the national economy), unexpectedly embraced an interpretation of the REA 42/1998 which has come as a surprise to virtually all the legal operators, from an absolute majority of first instance or provincial court Judges (if we go by what they have more than repeatedly stated in their Judgements) to Case Law, lawyers, the notaries and registrars who authorised Deeds of Adaptation and the Registrars who registered them and, I dare say, all those who somehow or other participated, whether directly or indirectly, in the drafting of this Act. Obviously, this does not mean that we must not respect –albeit not necessarily share– the opinion of the Judges of said 1st Chamber and certainly observe their Judgements in each specific case, without prejudice to our belief that the Court of Justice of the European Union may rule on this matter (certainly in the long run) in similar cases. But if we talk about a detrimental impact on the national economy, it would not be fair simply to make such a statement without anything to support it, so it seems appropriate to provide some data to explain what this sector means to the national economy. While the following figures are from 2007, we believe that they have since experienced a growth. The Study “Market Characteristics and Economic Impacts of the Euopean Timeshare Industry 2008” was prepared by The Christel DeHaan Tourism & Travel Research Institute – University of Nottingham, United Kingdom. The Christel DeHaan Tourism & Travel Research Institute has undertaken project work for national and regional government organisations, international organisations and tourism businesses, and it has led projects for the World Tourism Organisation (UN), the European Commission, ASEAN (Association of Southeast Asian Nations), OIT, OCDE, United Kingdom Ministries and international organisations in Brazil, Spain, Cyprus and Malta. In 2007 over 1.5 million European households owned timeshare. It should be taken into account that almost all the timeshare consumers are “households”, so if we consider an average 3-member household, this amounts to over 4.5 million people. The UK and Ireland form the largest market having 589,653 timeshare owners (an average 1,768,905 people), followed by Germany and Italy. Most resorts are concentrated in Spain with 26.3% of the total, 14.94% in Italy and 11.05% in the UK & Ireland. Average occupancy levels across completed European resorts were 71.7%. European timeshare owners spent € 1.6 billion during their timeshare vacation, plus € 957 million on timeshare purchases and € 618 million on timeshare maintenance fees. The top spending market is the UK, generating € 1.4 billion (about half the total expenditure) in timeshare. The average expenditure per trip (or vacation) was €1,588 per family, which was mainly spent on restaurants, car rental, parking and petrol, groceries, accommodation and gifts, souvenirs and clothes. The overall employment costs for the timeshare developers sector across all resorts is €1.28 billion (€1.06 billion if considering only resorts on the twelve European countries of this study). Spain is one of the markets with the highest potential for development of the timeshare industry and leads the European ranking for number of resorts, accommodation units and bed nights. Number of timeshare owners (households) in Spanish resorts: 715,000. The above includes 623,000 non-Spanish households (with three family members on average) and 92,000 Spanish households. United Kingdom is the country with the most timeshare users (278,000), followed by Germany with almost 106,000 users. 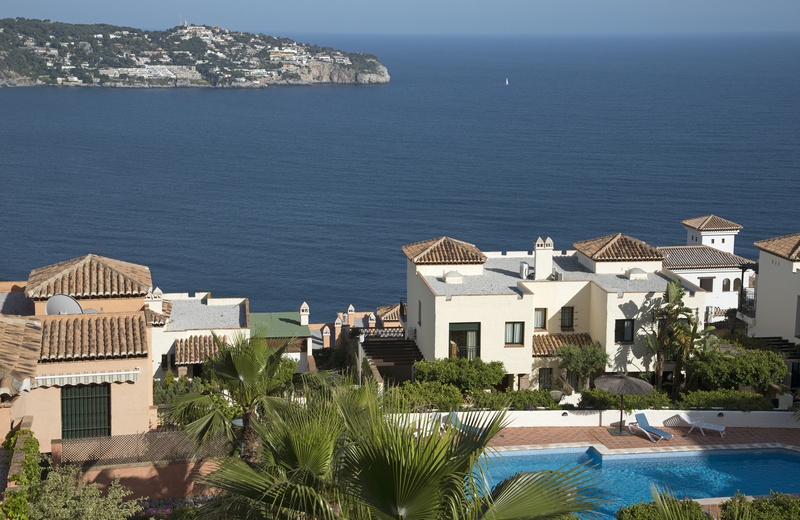 47% timeshare owners in Europe have bought into Spanish resorts. 26% of all European resorts are in Spain. – The Spanish resorts contain approximately 23,000 accommodation units, which represents 31.2% of the European supply. – The average number of bed nights in timeshare accommodation units per annum is 22 million. -Timeshare owners generate about 500 million euros per year in Spain. – The average expenditure per family and trip during their holidays in Spanish resorts was €2,349. These figures show the importance of timeshare to the Spanish economy, to employment and to overcome the seasonality of the tourism industry in general. House prices are still relatively low compared to the period before the economic crisis. During the economic crisis, and specifically during the correlative banking crisis, banks and saving banks practically stopped granting mortgages.- This trend has completely reversed and especially for foreigners, who are favored by it. Due to the political uncertainty in the Arab countries of the Southern Mediterranean, the economic instability of Greece and the geopolitical situation of Turkey, Spain’s perception as a comfortable and safe destination is being consolidated. After the debt crisis, Spain is now the fastest growing economy in Europe, currently growing at more than 3% and, according to the latest predictions, it will reach 4% by the end of the year. 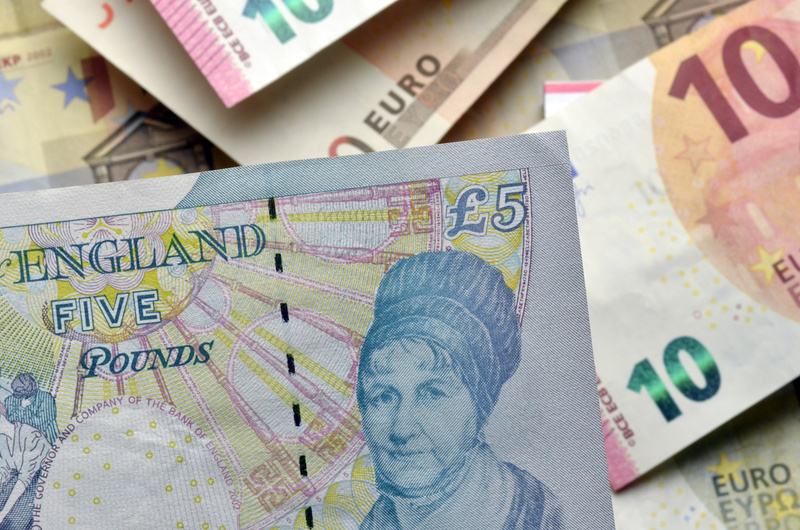 If last January the Euro exchange was approximately €1.25 per Pound, it now exceeds 1.41 Euros for one pound, which is a great advantage for the British. CANARY ISLANDS: NEW REGULATIONS ON THE RENTAL OF PRIVATE HOMES FOR TOURIST USE. The operators of tourist accommodation establishments in Spain (hotels, apartment-hotels, holiday apartments, etc) have for many years strongly opposed the existence of what they regarded as a clandestine activity of seasonal rental of private homes to national or international tourists by their owners (first or second residence). Indeed, many owners of homes which are not part of a tourist establishment would during the high season rent out to tourists their own homes, which were in some cases their first residence and in some other cases their second residence, so they would even vacate the property and move in with some relative or into cheaper tourist areas during that period. Tourism operators used to and still claim that this constitutes a source of fiscal fraud, a service which in some cases does not meet the appropriate conditions and may even pose risks and, in any event, an instance of unfair competition, as while they and their facilities were obligated to meet strict safety, quality, etc requirements, the private owners didn’t meet any. Private renters, on the other hand, claimed that renting out a home is as lawful an activity as any other and that, if their home is legally fit for habitation by them, then it should also be fit for habitation by third parties, and they argued that the rent thereby received is like any other income on which the person receiving it has to pay tax. It was in this context that the Urban Lease Act (L.A.U. ), which regulated urban land and property and, very particularly, “living accommodation” contracts, was amended in 2013. But living accommodation for the purposes of this Act is not to be regarded as a building in which it is possible to live, but as a much “narrower” concept based on the intended use thereof, as the “rental of living accommodation as regulated by the L.A.U.” is “that which relates to a habitable building which is intended to satisfy the renter’s need to have permanent living accommodation” (Article 1 L.A.U.). On the other hand, “seasonal” house rental contracts were also included in the scope of this Act. The aforementioned amendment of the L.A.U. in 2013, on the other hand, excluded (by virtue of article 5.e L.A.U.) the “temporary assignment of use of a house in its entirety which is furnished, equipped and fit for immediate use and which is marketed or promoted through tourism offer channels with a view to obtaining a profit, where it is subject to a specific scheme as a result of its zoning regulations”. The content of this article pointed to the way of regulating houses for tourists use; a regulation which does not fall within the jurisdiction of the State but of the various Autonomous Communities. 1.- These rentals are euphemistically referred to as “temporary assignment of the use of a home” instead of seasonal rental. 2.- The rental must refer to the “house in its entirety”. 3.- It must be furnished, equipped and fit for immediate use. 4.- Marketed and promoted through tourism offer channels. 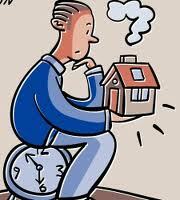 5.- The purpose of the rental must be that of obtaining a profit. 6.- And it must be subject to a specific scheme arising out of its zoning regulation. It must be noted that such a specific scheme has to be regulated by the legal rules of the Autonomous Communities, which have exclusive jurisdiction in this regard. The Autonomous Communities (albeit not all of them) have more or less recently started to regulate this kind of tourist accommodation. In the Canaries, for example, the process of publication of the aforementioned decree project has now started, thus opening the legislative way to its coming into force. In the meantime, I think it would not be unreasonable to say that, in default of such a rule, the rental of these houses constitutes a seasonal leasehold regulated by the current Urban Lease Act (L.A.U.). Of all the characteristics which according to the L.A.U. define “tourist houses” as a reason to exclude them from its regulatory scope, the most defining or important one is that it must be <<marketed and promoted through tourism offer channels>>. All the other characteristics mentioned above certainly are or can be common to the rentals regulated under the L.A.U., particularly as regards seasonal rentals. The last characteristic, or rather in this case, requirement, is the “subjection to the tourism zoning regulations”; in other words, the acknowledgement that all the former requirements are met (including that of being offered through tourism channels). I believe, on the other hand, that it would be highly questionable to say that homes may not be rented out as “tourist accommodation” until such time as legal regulations on the matter have been established. Seasonal rental of homes to tourists is legally feasible where the renter is attracted outside the tourism offer and promotion channels. It would be more questionable to state that homes may not be rented out to tourists until such time as specific regulations on the matter are in place, even if they are rented through those channels. Obviously, this doubt will be cleared in each territory once the zoning legislation has been enacted, as now intended in the Canaries. The Regulation Project starts by defining private homes for tourist use as, fundamentally, those meeting the requirements mentioned in article 5.e of the L.A.U. which result in exclusion from its scope of application, which have been listed above. Of all those requirements for exclusion, which on the other hand are listed in such wide terms that they should be construed on an ‘included but not limited to’ basis, the condition relating to promotion and marketing through tourism offer channels is particularly emphasised. Use of the home must be assigned to one only user (although the latter may be accompanied by their family, friends, etc). That is, the home may only be marketed as a whole, not divided into units. In homes or buildings subject to a ‘horizontal property’ system, ‘authorisation from the Community of Property Owners’ is required. We consider that this is an essential point to determine the feasibility of this kind of operation, so it will be dealt with in more detail at the end of this article. 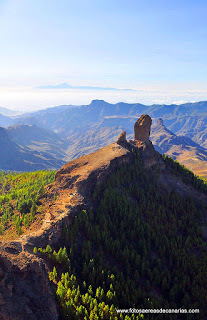 Registration with the Canary Islands’ Tourism Registry. The owner of the home must upon formalising the contract submit a document containing information such as the name of the owner of the property, registration number with the aforementioned Registry, number of persons who will occupy the property, etc. On the other hand, the home must have a door sign identifying it as a property for tourist use, and the marketing thereof must comply with certain requirements relating to information and publicising. Chapter II of the Decree Project, on the other hand, refers to conditions of use (habitability and safety regulations, cleaning, civil liability insurance, etc), technical requirements (furniture, minimum size, etc) and minimum equipment required (security locks, first aid it, lighting, household items, linen, kitchenware, etc). In particular, a binding price list must be made available to the users in accordance with those publicly advertised or publicised. Finally, Chapter III relates to the process of commencement and performance of the activity, and Chapter IV regulates claims and the inspection and sanction system. We have commented above on the decisive importance of this requirement, which we believe will determine the greater or lesser feasibility of the operation of many homes for tourism purposes, as it can be a very difficult requirement to be met in many cases. While we do not have any statistics concerning the number or percentage of homes in a horizontal property system which will need to obtain authorisation from the Community of Property Owners in order to be used for tourist use, we can certainly state that most newly-constructed homes are subject to such a system. Traditionally, the homes which are not subject to this system are old dwellings –whether on one or on several floors-, old multi-family and single-family homes located in streets of the town centre and in the countryside, and homes built as part of “de facto” developments. However, homes built as part of multi-storey buildings since the nineteen-sixties and those which are part of developments, even in the case of single-family homes, are normally subject to a horizontal property system, whether mandatorily or by reason of convenience (e.g. vertical property division). Nowadays there are probably more homes subject to a horizontal property system than not. How is authorisation obtained from the Community of Property Owners? First of all, if the Statutes of the Community included in its “Constitutional Title” contain a provision whereby such tourist use is allowed, in our opinion this will suffice and no agreement of the Community of Property Owners will be necessary, as the Community may only reject it by virtue of a unanimous resolution to amend the Statutes. However, it is highly unlikely for the Statutes of the Community to say anything in this regard insomuch as it has not occurred in the past, unless the existence in the Statutes of a general authorisation to carry out commercial or business activities –such as “…may carry out any lawful commercial activity”- is considered sufficient authority. This certainly is a personal opinion, which also admits the opposite interpretation. That is, if the Statutes specifically prohibit the tourist use of the properties or the performance of commercial or business activities, then the Statutes would have to be amended by unanimous resolution in order for the amended text to envisage such an authorisation, whether specifically or generally and with or without the addition of the correlative authorisation from the General Meeting. Normally, however, in default of such a Statutory clause, any owner wishing to use their home for tourism purposes will need to obtain authorisation from the Community of Property Owners, and this is the scenario in which it is necessary to define how the authorisation can be validly granted. We consider that the President of the Community may not grant such an authorisation by themselves, as this is not a responsibility included in their Community representation duties, so it will need to be approved in General Meeting by a majority of owners who also represent a majority of participation coefficients. The need to obtain the Community’s approval as aforesaid will probably be an insurmountable requirement in many cases for the home to be used for tourism purposes and, in any event, it will significantly reduce the number of homes which do have authorisation to such end. One last comment to be made in relation to this activity is that it constitutes an economic-entrepreneurial activity (inclusion in the tourism registries being required) and, therefore, the relevant fiscal regulations need to be complied with, i.e. as an entrepreneurial organisation. An example of the highest quality products of the holiday industry, particularly as regards the so-called “new holiday products” (traditional rotational enjoyment, fractional, destination clubs, etc), are the so-called private residences, which are accommodation units aimed for one only user/client (obviously accompanied by their family, friends, etc), normally large in size, luxurious and with added up-market services such as private cook, vehicle with driver, etc. From a legal point of view, this is normally formalised as a “Rotational Enjoyment” contract, so the clients purchasing this kind of enjoyment right do so for a longer period than the traditional week and with the inclusion of the aforementioned additional services, and the right normally does not (although it can) relate to a specific property but to various determinable properties in several countries. The “residences” to which these enjoyment rights relate are singular properties by reason of their location, age, magnificence, destination, etc, and they are rarely part of a traditional tourist resort. We therefore believe that the operation of these residences as homes for tourist use can be very useful for their development in a professional manner.